Each day seems to bring a troubling new chapter as Europe confronts a staggering refugee crisis. On Thursday (Aug. 27), 71 refugees were found dead in the back of an abandoned freezer truck in Austria. On Friday (Aug. 28), Libya discovered the bodies of 200 immigrants off its coast after their overcrowded boat sank on its way to Europe. 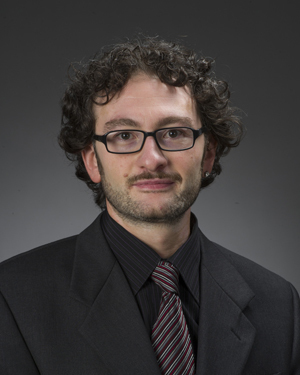 Maurizio Albahari, assistant professor of anthropology at the University of Notre Dame, believes it is critical to open safe, legal ways into the European Union to curb the number of refugee deaths. “The citizens of Zuwarah, Libya, are courageously demonstrating against the human smugglers and war profiteers plaguing their coastal city,” Albahari said. “The citizens of struggling Greek islands, southern Italian ports and Serbian towns are working hectically to assist newly arrived refugees. Mayors, police forces, health care providers and volunteers are working overtime to take care of survivors, and to find burial sites for those who could not be rescued in time. Italian parishes are opening their doors. German and Austrian citizens are sharing their homes with refugees. They are all saying that one more refugee death in the Mediterranean and in southeastern Europe would be too much for them. “National governments have the option of considering not only these citizens’ stance, but also the many provisions suggested by humanitarian, international and even intergovernmental organizations: improving the bureaucracy of family reunifications; financially supporting UNHCR (Office of the United Nations High Commissioner for Refugees) efforts in war-torn Middle Eastern regions and in neighboring countries; envisioning legal channels for refugees to seek temporary protection, if not resettlement; and allotting funding for additional search and rescue vessels and planes. Smuggling networks, to quote the EU Commission itself, ‘can be weakened if fewer people seek their services. Therefore, it is important to open more safe, legal ways into the EU.’ This needs to happen with urgency — if indeed Europe’s most pressing objective is curbing the number of refugee deaths. Albahari is the author of “Crimes of Peace: Mediterranean Migrations at the World’s Deadliest Border” (2015, University of Pennsylvania Press). The book investigates why the Mediterranean Sea is the world’s deadliest border, and what alternatives could improve this state of affairs. It also examines the dismal conditions of migrants in transit and the institutional framework in which they move or are physically confined. Albahari has also published on migration, refugee issues and religious diversity in the Euro-Mediterranean context. A fellow at the Nanovic Institute for European Studies, and a faculty affiliate at the Center for Civil and Human Rights, Albahari researches the everyday life and politics of changing Italian cities and European societies, with specific attention to citizenship, integration and interreligious dialogue. Originally published by William G. Gilroy at news.nd.edu on August 28, 2015. Excerpt photo added by the Nanovic Institute. Photo credit: Vito Manzari from Martina Franca (TA), Italy. CC 2.0 via Wikimedia Commons.